Schedule a Home Inspection, Radon Testing, or Contact us for additional information. Please include address of the property to be inspected and/or radon tested. 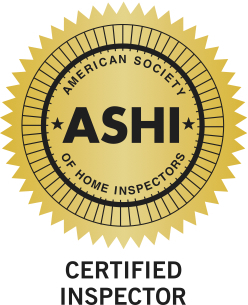 NOVAhi home inspections follow Virginia Home Inspection Standards and the Standard of Practice and Code of Ethics of The American Society of Home Inspectors (ASHI)®. Clients receive their Home Inspection Report within 24 hours of the completion of the inspection. NOVAhi Home Inspection Reports are comprehensive and specifically written for you—with photos. Deficiencies are identified and explained what they mean to you with recommendations for further action clearly presented and summarized. NOVAhi is also an NRPP Certified Radon Measurement Specialist. Radon testing and evaluations involving real estate transactions require short-term radon testing. This is an EPA-required minimum of a 48-hour measurement period, in a closed-house environment. Lab results and a certified radon test report is provided to you within 24 hours of the completion of the testing. Enter in the approximate total square footage of the property, including a basement, if appropriate (finished or unfinished). Please enter the name of the Real Estate Agent that is representing you in this transaction. Please enter the day you prefer your inspection; OR enter the date in Comments Section below. We will coordinate and confirm date via phone or email. Enter your first choice of time for the inspection to begin. Enter backup time(s)in the comments section below. We will coordinate and confirm the best time for you. Keep in mind that, on average, most home inspections require approximately 3 hours to complete.